Happy Monday! How's it going today? It's the first day of my entire week off from work and you better believe I'm extremely excited. Sorry, don't mean to rub it in haha. But after a rough few days I'm definitely looking forward to having some relaxing time at home. I still have a lot of amazing collections to share with you these next two weeks. I'll definitely need to pull an all-night swatch-a-thon this week to finish up. 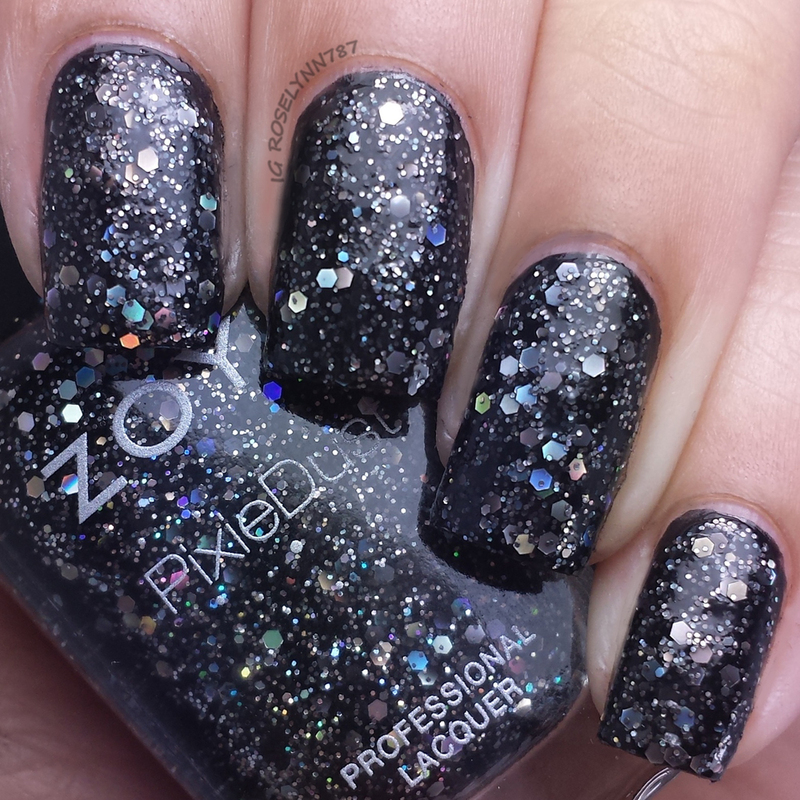 For today, I have a Holiday Wishes Collection from Zoya for 2014. I've been really excited since I first saw the press release for these, especially for the Magical Pixiedust. Let's take a closer look guys. The Holiday Wishes Collection from Zoya is already available for purchase. The collection consists of six polishes - three Magical Pixiedust and three creme shades. Think you know which one will be your favorite? In an effort to save some time, I'll only be doing brief descriptions for each polish since they share similar formula experiences. I'll start by describing the formula of the three creme shades (Willa, Prim, Haven) first. You'll find these three have a good smooth application, however, I found them to be a little bit too thin for my liking. The thin formula caused me to experience some cuticle flooding in all three cases. 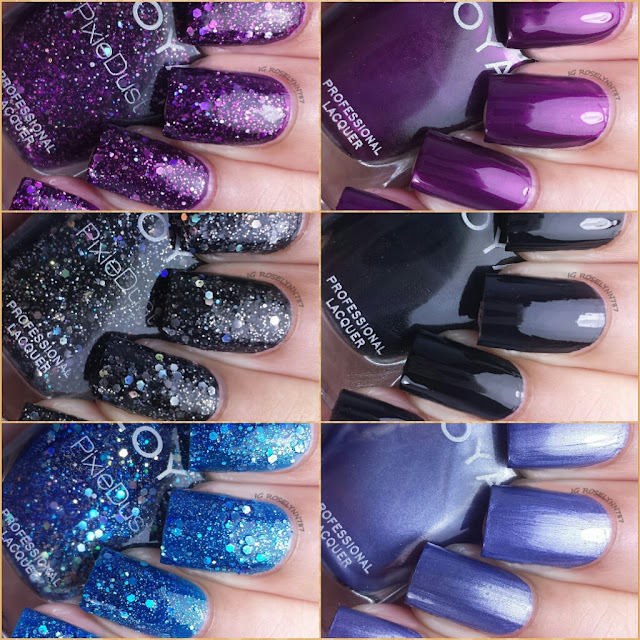 I swatched each of these over a clear base coat and used two thin coats for a fully opaque finish. Willa is described as a full-coverage onyx black cream. Nothing much more to say on it than that. It's a rather snooze for the Holiday season, right? It also just feels way to similar to Raven. Comparison post anyone? Prim is described as a full coverage velvet blue metallic. Very frosty and winter-like feeling about this one. Definitely hits a bit closer to the Holiday season than Willa does. The metallic finish, however, is not one of my personal favorites. As you can see, it's not forgiving of sloppy brush strokes so you have to apply with a light hand. Haven is described as a full coverage true holiday plum liquid metal with a thin vein of orchid for added brilliance. Out of all three creme colors, this one is definitely my favorite hands down. 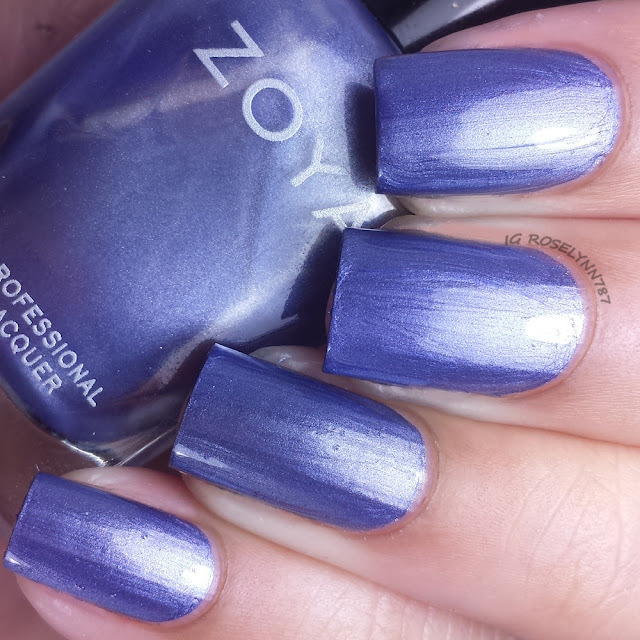 Although Zoya describes it as a metallic finish, I didn't find it to be as noticeable as Prim by a long-shot. Then again, that's probably what makes me like it so much in the first place. Now we get into the Magical Pixiedust portion of this collection that consists of Thea, Nori, and Imogen. The three of these are supposed to not be used with a topcoat and dry to a matte finish. I've noticed, however, that most did not have this experience. I had a varied experience myself and even after a full day they did not appear completely matte. The formula and application are very nice and smooth. For these swatches, I used three thin coats over a clear base coat and no topcoat. Imogen can be best described as a black crystal Magical PixieDust with holographic hex glitter. As much as I love the classic fancy look it gives off, I don't like it for the Holiday season. I waited about fifteen minutes for dry time with Imogen and it was the most matte of them all. That being said it's still not truly a matte finish, in my opinion. Nori can be described as a sapphire blue Magical PixieDust with holographic hex glitter. Out of the Pixie's, this one would be my favorite one and the most Holiday appropriate. Definitely can see myself wearing this a lot for the Winter, especially as an accent nail to go along with some nail art. If only it had dried more matte it would of given the perfect icicle look. Thea can best described described as a deep amethyst Magical PixieDust with an orchid flash, This one comes in as a close second favorite in the whole collection. I actually think I the glossy finish rather than the matte for this particular one, good thing too cause there is no matte to this one at all. 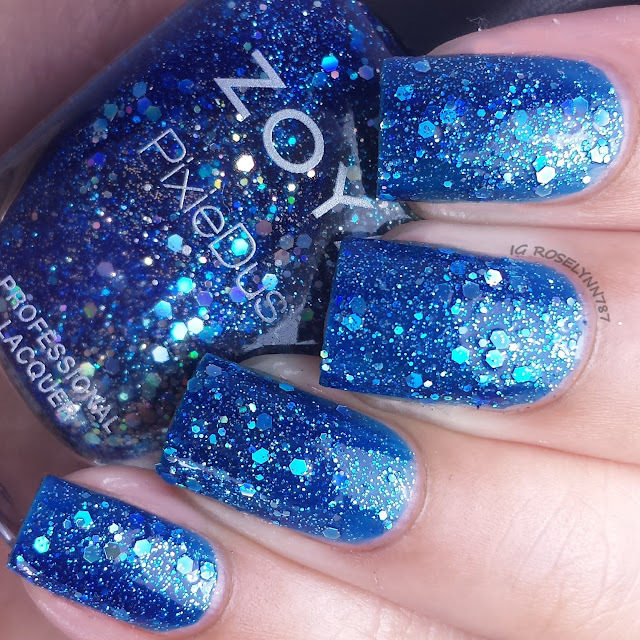 Overall I'm a little disappointed with the Holiday Wishes Collection from Zoya. I wish the colors were a little more on the festive side, the blacks for me are entirely way too dull for the holidays. Although I do like Thea and Nori, the Magical Pixiedust finishes leave much to be desired. There is no matte to the finishes whatsoever and the texture is questionable in my opinion. 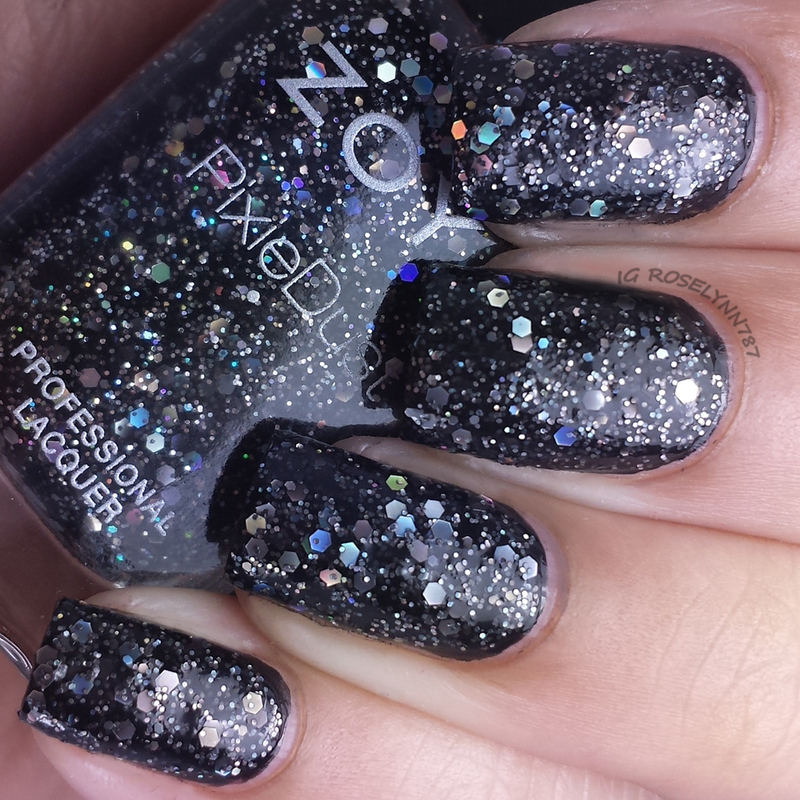 There isn't enough texture and instead the polishes just feel like normal glitter heavy finishes. What do you think guys? 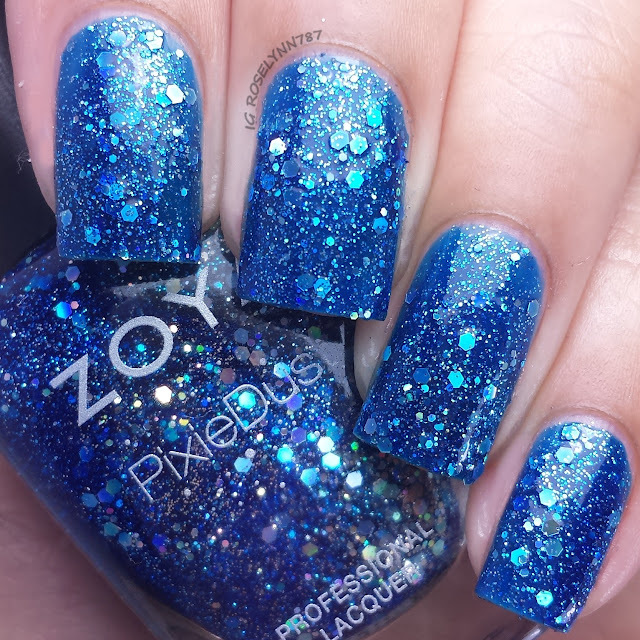 The Holiday Wishes Collection from Zoya is available for purchase at zoya.com. The Pixiedust retail for $10 each and the other ones for $9.00 each.